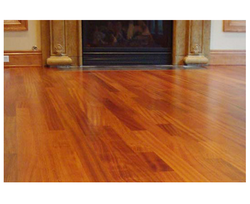 We are a leading Manufacturer of wood coatings from Pune, India. We have a complete devout in manufacturing and supplying highly demanded Wood Coatings. We have engineered special waterborne and solvent borne coatings for wooden surfaces which is widely utilized at various residential and commercial settings. The offered range comprises of acid curing and PU type coatings which are carefully developed at our highly advanced R&D centers. Further, we are providing the quality tested range in glossy, semi glossy and matt versions at a market leading price. Cipy was the first to introduce polyurethane based clear coatings in India in 1976 under the trade name of U-Coat, which was shelved at that time due to various constraints. After a few decades, U-Coat was re-launched along with other grades of wood coatings. Cipy now offers a comprehensive range of wood coatings, waterborne to solvent borne, to cater to every market segment. These coatings are available in glossy, semi glossy and matt versions. They are exceptionally scratch resistant and more durable than the conventional clear lacquers and urethane alkyds. They are exceptionally scratch resistant and more durable than the conventional clear lacquers and urethane oils. Delivery Time: after receiving PO will update.